We love working on weddings in Somerset (where we're based), but you can't get much more impressive than a wedding in Central London overlooking The Houses of Parliament and the London Eye. That's exactly where we were, running our photo booth for a spectacular wedding at the Westminster Park Plaza. With over 550 guests it was an exciting event to be part of and no surprises that The Proper Booth was busy all night with eager wedding guests ready to come and have their photos taken. 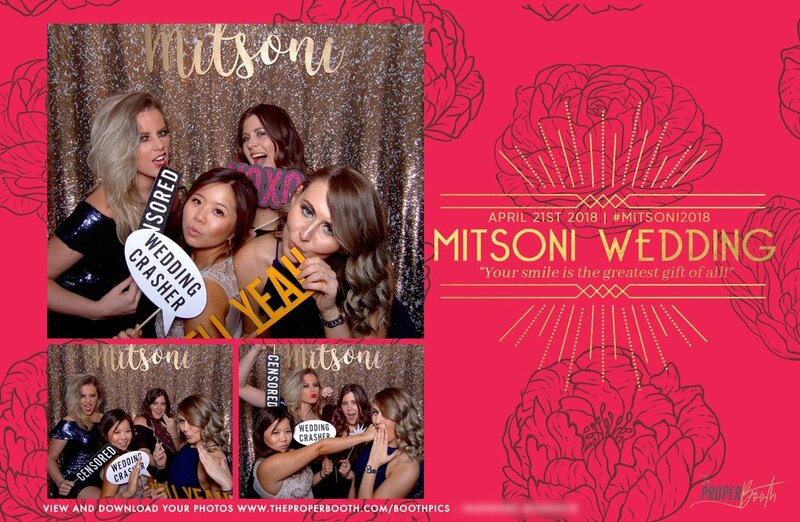 The lovely bride had a clear concept for us to follow - a Japanese Speak Easy vibe - an awesome theme for us to get our teeth into and produce the perfect print out and video overlays to match it. We created a custom laser cut sign to hang on to our gold sequin backdrop, and included a beautiful custom wedding prop inspired by the Bride. 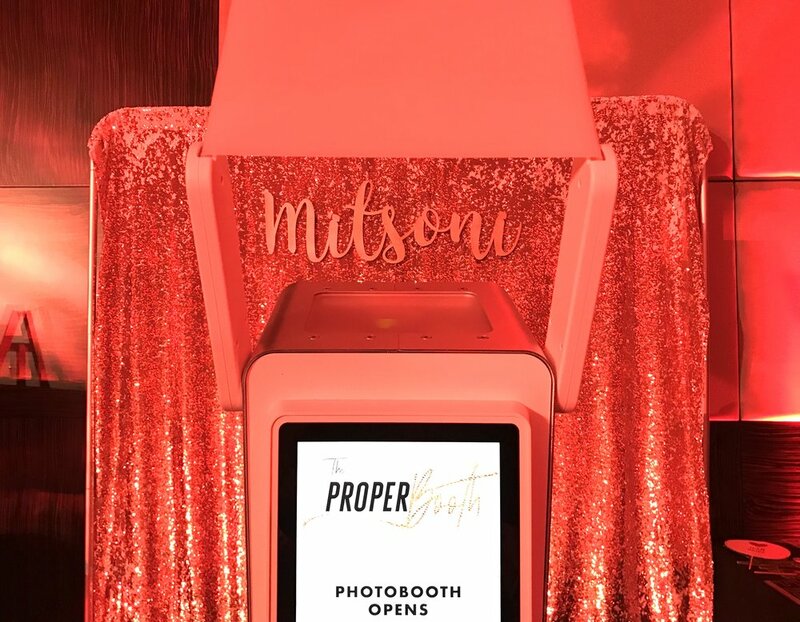 If you're looking for a Photo booth company that offers more than just photos, get in touch with us with your ideas and we will work with you to make them a reality.